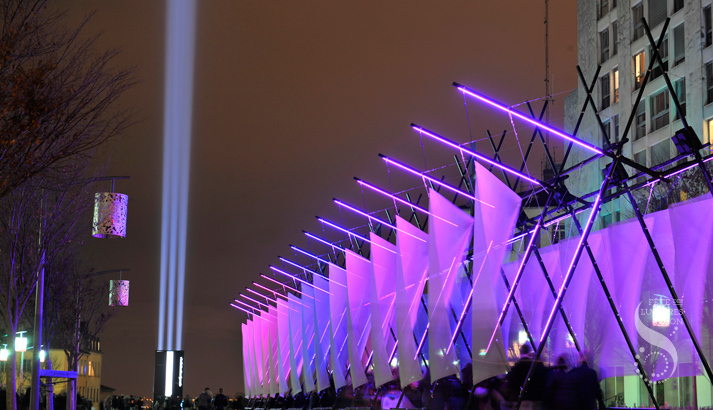 This amazing five-meter-high tunnel reacts to the many sounds and noises of the city by activating lights whose intensity, color and movement are constantly changing. Enter this structure and see how you can color the urban sounds! Sponsored by the Cutch Association. With the technical support of lalumiereled.fr, the Serge Ferrari Company and Chosset & Luchessa.